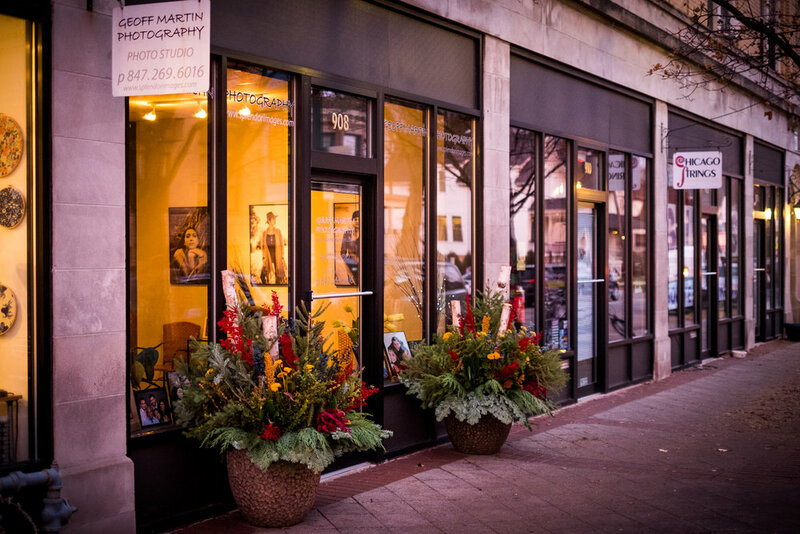 Located at 908 Sherman Ave in Evanston, IL, Geoff Martin Photography specializes in custom portrait photography for individuals, couples, and professionals in the Evanston and surrounding Chicagoland area. The studio provides a professional and comfortable space for indoor portraits, whether it be for head shots, couples photos, individual portraits, online dating profile photos, or to showcase your yoga poses for your personal business. Photo shoots can be scheduled at the indoor photo studio in downtown Evanston or at nearly any other location of your choosing within the Chicago and surrounding areas.